For eons, the native species of North America evolved into an entirely self-sustaining balance of predator, prey and supporting habitat. This ecosystem thrived for countless ages without any intervention on the part of humans. In 1872, the first national park, Yellowstone National Park, was established to preserve the natural environment and wildlife in this spectacular part of America. However, as early as 1884 an official eradication of large predatory species was put into effect by the state of Montana. 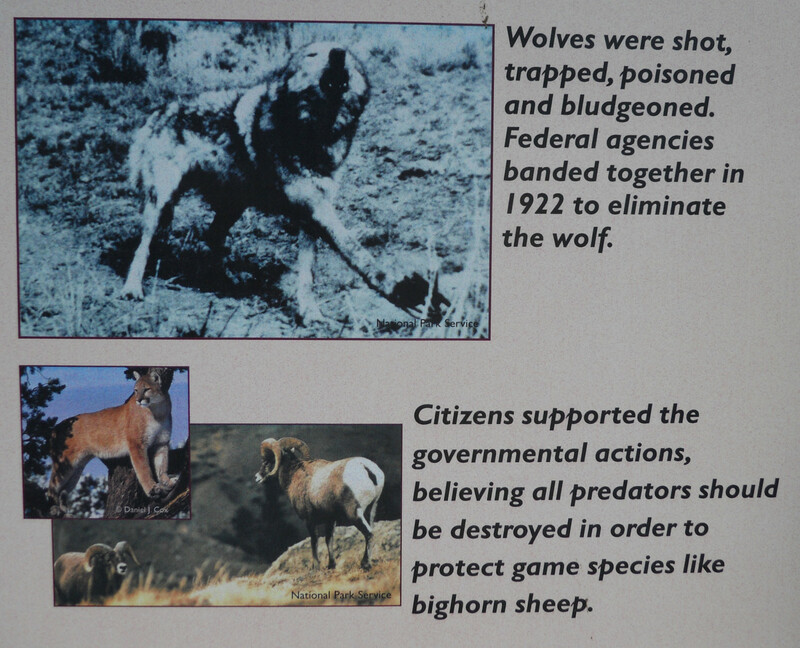 It was decided that wolves and other predators including mountain lions, bears, and coyotes were killing too many of the game animals such as elk, buffalo, and pronghorn. The state offered $1 per wolf killed. In 1914, the U.S. Biological Survey was founded -- a federally funded program with its main goal being to eradicate the wolves in Yellowstone National Park and the surrounding areas. The U.S. Biological Survey is still around today but has been renamed U.S. Fish and Wildlife Service. Wolves were hunted, trapped and poisoned, using strychnine on carcasses. In 1926, the last two wolves in Yellowstone National Park were shot while feeding on a buffalo carcass. It is documented the wolves were almost wholly eliminated from all of Montana, Wyoming, and Idaho by 1927. Humans Creating the Need for "Wildlife Management"
By 1935 biologists were already reporting an imbalance in the ecosystem. Overpopulation of grazing animals caused a significant decline in the new growth of native plants and trees. This in turn was causing erosion and a population reduction in birds, beavers and other such species dependent on trees and plants for food and habitat. Federal and State funds were used to regulate the number of elk, deer, and bison by shooting or trapping them. At one time, the Paradise Valley (just North of Yellowstone National Park) held one herd of elk with over 35,000 individuals. In 1966, the idea of wolf reintroduction was first presented to Congress by biologists. These scientists believed that because the ecosystem had developed with natural predators, it was destabilized without them. The result of this imbalance was over-grazing and significant habitat destruction in only 40 years -- a drop in the bucket in terms of nature and its evolution. In 1973, the Federal Endangered Species Act was brought into existence and the gray wolf became protected under this new law in 1974. Despite of the controversy, in 1995 the reintroduction of the gray wolf in Yellowstone National Park was approved and 14 wolves from Canada were brought and released in three park locations. Almost 75 years after the last two wolves in Yellowstone were shot, the gray wolf was back. Over the next year, approximately 60 more wolves from Canada were brought and reintroduced in both Yellowstone and central Idaho. In 2000, U.S. Fish and Wildlife reported that the goal of 30 breeding pairs of wolves in Montana, Idaho, and Wyoming had been met. Based on this information, the USFWS claimed the gray wolf population was recovered under the Federal Endangered Species Act. Many scientists and environmental groups disagreed, saying there were not enough breeding pairs for healthy genetics and the wolves could not be considered fully recovered. The debate continued into the next decade. In March 2008, the gray wolf was de-listed and hunts were planned. Several environmental groups sued the government, and in July of the same year, the U.S. District Court granted a preliminary injunction placing the wolf back on the protected list. The hunts for the fall of 2008 were suspended. 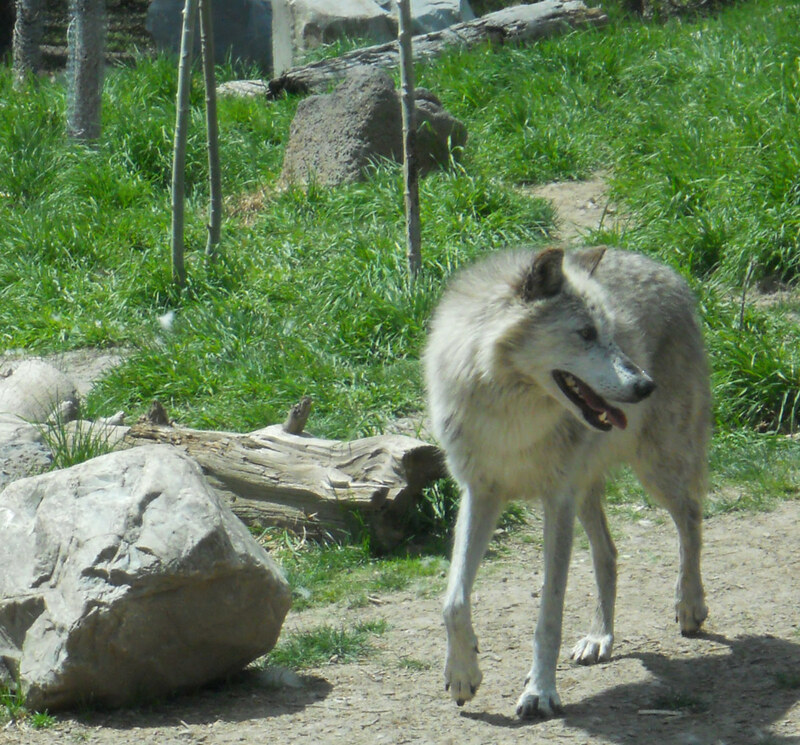 In March 2009, the gray wolf was de-listed a second time. This time hunts commenced in Montana and Idaho killing a total of 258 wolves. Again, wildlife advocates sued the federal government and again protections were restored to the wolves in August of 2010. The fall hunt for 2010, which had doubled the previous year's quota, was canceled. So far in 2011, "research" hunts have been used as a way to get around federal protection. Additionally, Montana Governor Brian Schweitzer encouraged Montanans to shoot packs of wolves guilty of preying on livestock or "hurting elk herds," regardless of the law. (In parts of Montana, it is legal to shoot wolves to protect livestock.) Federal agents (paid by U.S. tax dollars) have been authorized to shoot over 1000 "problem" wolves in the last few years. Not everyone missed the wolves. Hard working livestock owners, of which there are many in Montana, battled one less obstacle in the absence of these adept predators. Additionally, for huntsmen (and women,) the new abundance of game animals had become a dream come true. The aforementioned Paradise Valley became a prodigious elk hunting mecca hosting over 3200 hunters annually. For decades, Gardiner Montana -- a town within the northern boundaries of Yellowstone National Park -- held the unique "Late Elk Hunt" for six weeks in January and February, just to be able to control the size of the local elk herd. This was, and still is, a significant source of revenue for the state through hunting licenses as well as increased tourism. 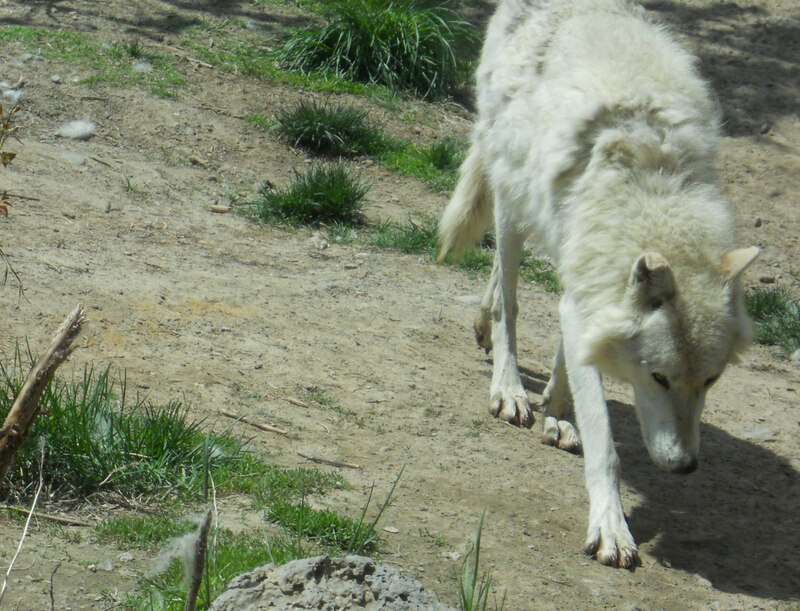 The controversy over the pros and cons of wolf reintroduction was now in full motion. 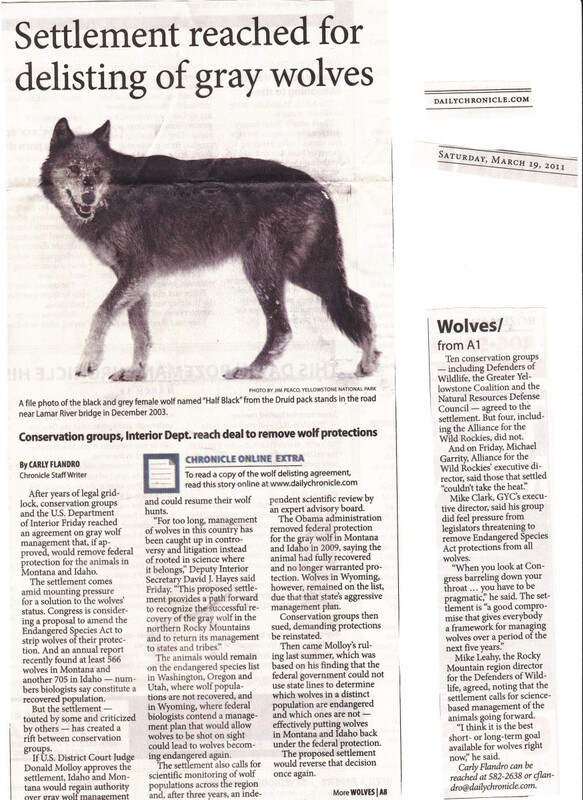 A True Story About a "Good Wolf"
The "pro" wolf groups are mostly wildlife advocates and environmental groups such as Defenders of Wildlife and Earthjustice who fear that if the wolves are not federally protected they will surely be mismanaged, over-hunted, and sadly exterminated a second time. There is, however, a third school of thought. Some scientists who started out as advocates for keeping the gray wolf on the Endangered Species List have changed their tune over the past decade. 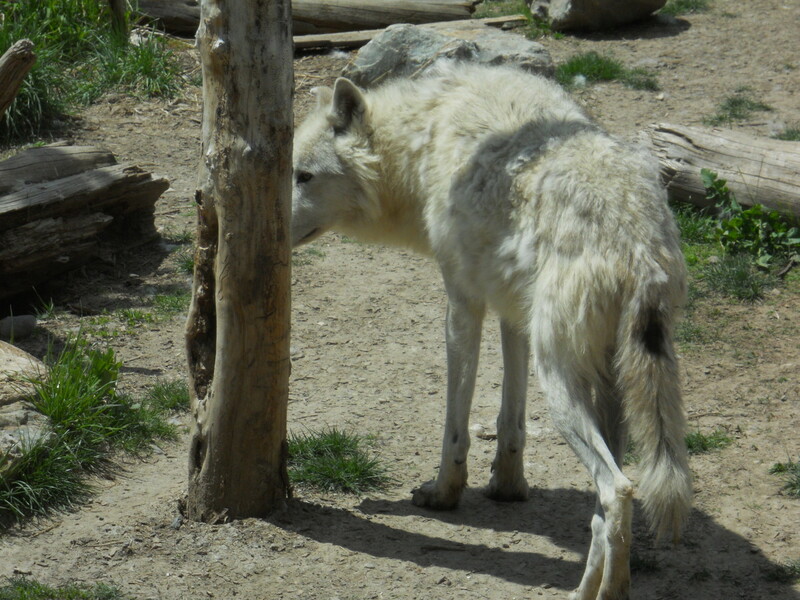 The recent opinion seems to be that the wolves have recovered to the point that they, like other wildlife, need to be managed by local programs and not protected by federal law. If they continue to be protected under the Endangered Species Act, the result will be human/wolf conflicts continuing to escalate until the wolf comes out with the short end of the stick. Some conservationists, such as The Greater Yellowstone Coalition, propose responsible state-level management involving: 1.) an established minimum gray wolf population, monitored by federal agencies such as U.S. Fish and Wildlife 2.) monetary aid for ranchers who lose livestock, and 3.) regulated, fair-chase hunting (i.e., no poisoning or trapping) of wolves in numbers based on U.S. Fish and Wildlife reports. Revenue from hunting licenses could be used to help fund state wolf management programs. If the wolves are de-listed, there will no longer be federal funds available. This ongoing and decades-long battle is exceedingly complex -- a mess brought upon ourselves a century ago when we decided to take it upon ourselves to "manage" mother nature. Currently in the Montana Capitol, a resolution urging the removal of the Gray Wolf from the Endangered Species List passed the House with 99 of 100 votes. The next step will be for the U.S. District Court to approve or reject the wolves' protection. There are currently estimated to be 524 wolves in Montana. 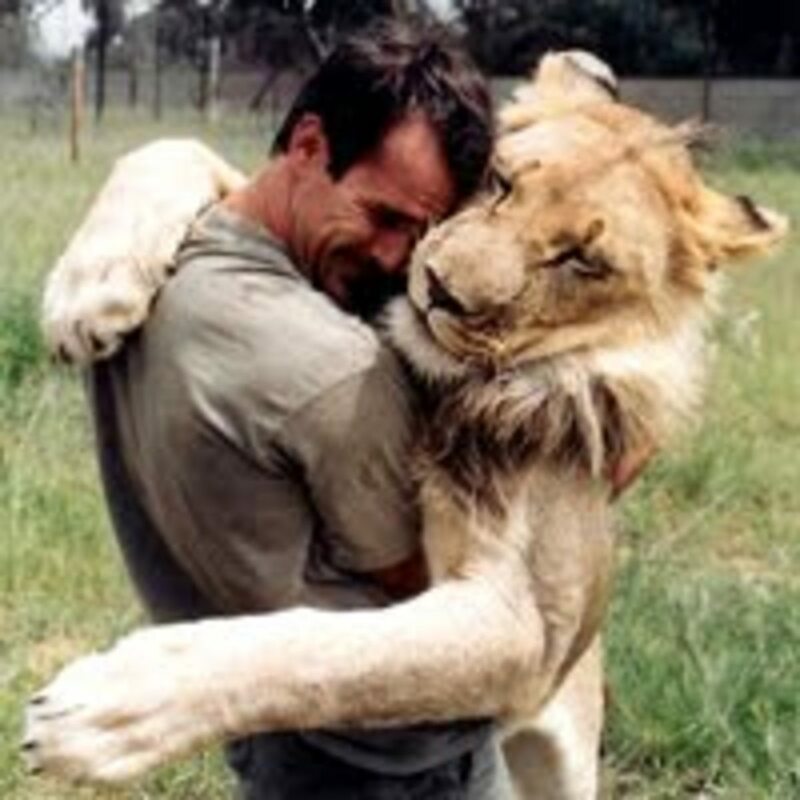 Are Lions Endangered and Who Is Caring for Them? Do u now de weir? Umm, who was responsible for the reintroduction of the wolves in 1995? Who were they? 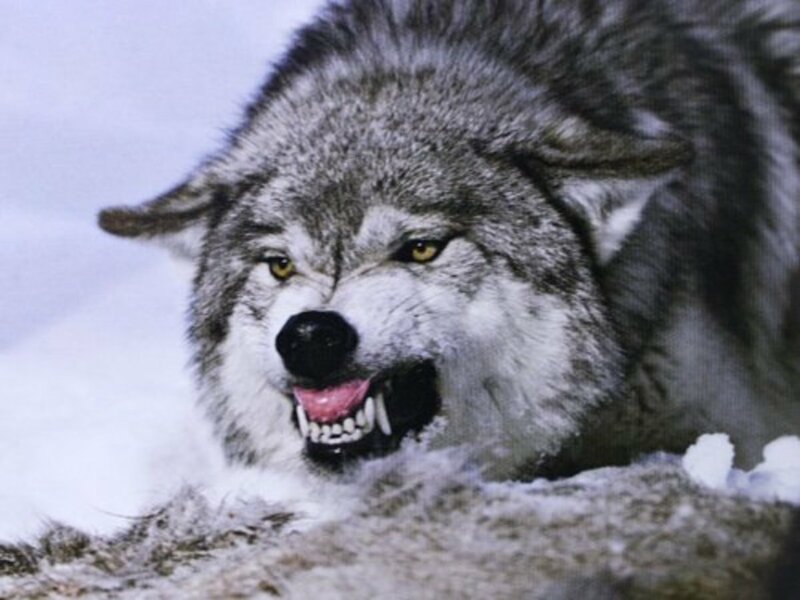 although i agree that we should not eradicate wolves their is a problem though we are releasing where there is ranches and wolves will attack the bigger slower and more tasty bovine. if anyone has solution please say it. For eons, the native species of North America evolved into an entirely self-sustaining balance of predator, prey and supporting habitat. This ecosystem thrived for countless ages without any "intervention" on the part of humans. In 1872, the first national park, Yellowstone National Park, was established to preserve the natural wilderness and wildlife in this spectacular part of America. However, as early as 1884, an official eradication of large predatory species was put into effect by the State of Montana. It was decided that wolves and other predators, including mountain lions, bears, and coyotes, were killing too many of the game animals such as elk, buffalo and pronghorn. The state offered $1 per wolf killed. In 1914, the U.S. 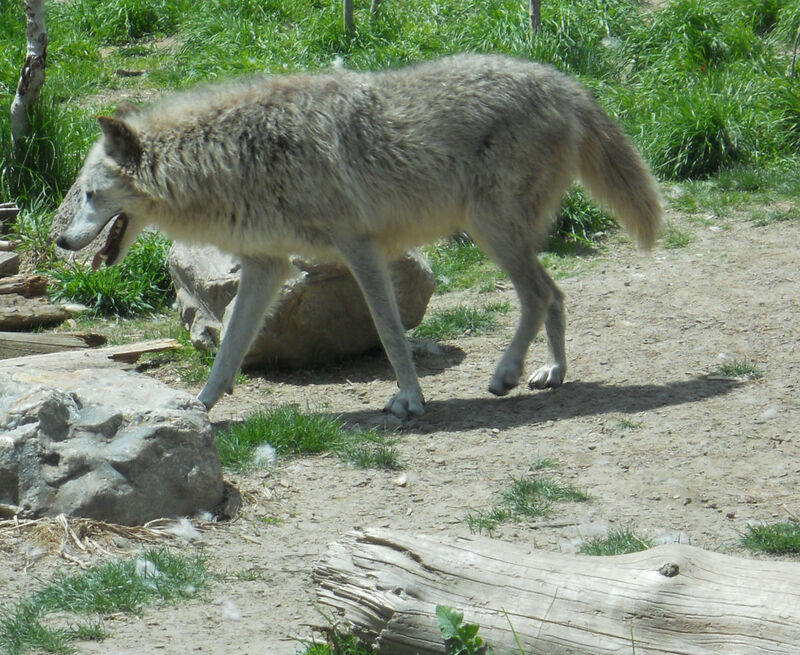 Biological Survey was founded, a federally funded program with its main goal being to eradicate the wolves in Yellowstone National Park and the surrounding areas. The U.S. Biological Survey is still around today but has been renamed U.S. Fish and Wildlife Service. Wolves were hunted, trapped and poisoned, using strychnine on carcasses. 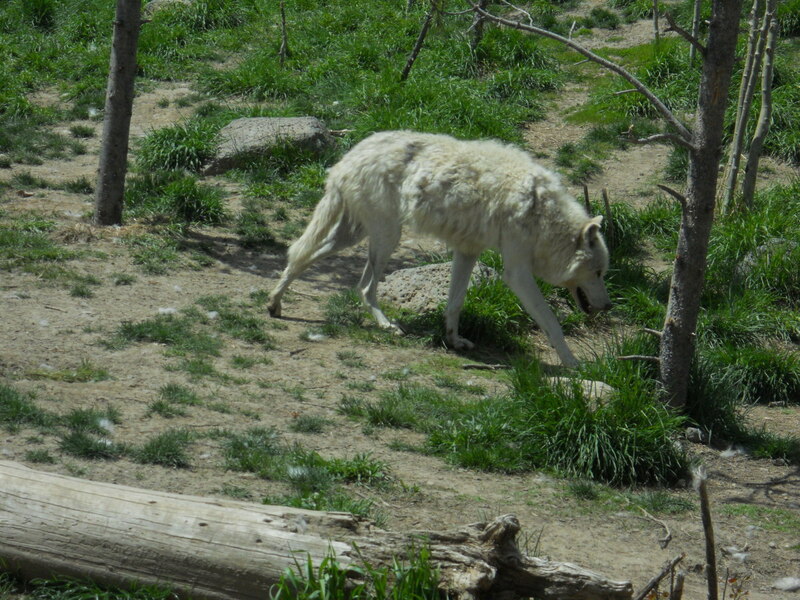 In 1926, the last two wolves in Yellowstone National Park were shot while feeding on a buffalo carcass. It is documented the wolves were almost wholly eliminated from all of Montana, Wyoming, and Idaho by 1927. In spite of the controversy, in 1995 the reintroduction of the gray wolf in Yellowstone National Park was approved and 14 wolves from Canada were brought and released in three park locations. Almost 75 years after the last two wolves in Yellowstone were shot, the gray wolf was back. Over the next year, approximately 60 more wolves from Canada were brought and reintroduced in both Yellowstone and central Idaho. In 2000, U.S. Fish and Wildlife reported that the goal of 30 breeding pairs of wolves in Montana, Idaho and Wyoming had been met. Based on this information, the USFWS claimed the gray wolf population was recovered under the Federal Endangered Species Act. 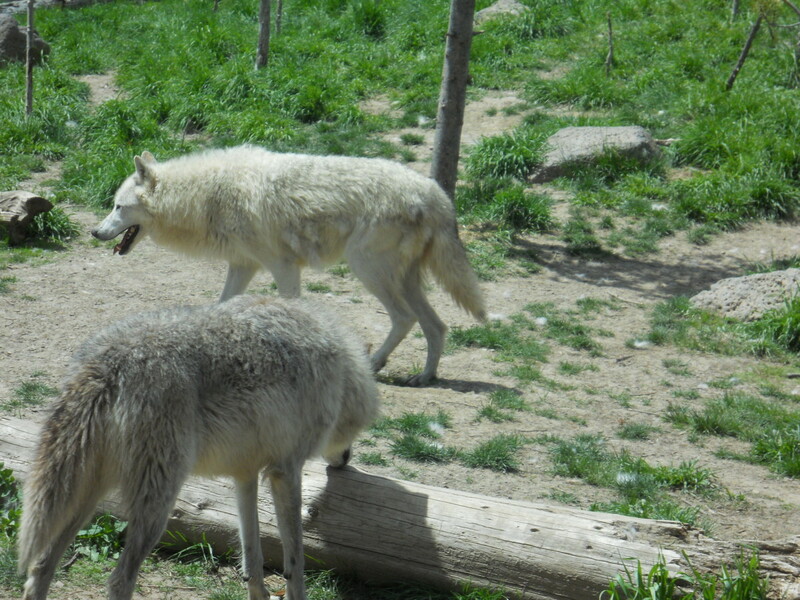 Many scientists and environmental groups disagreed saying there were not enough breeding pairs for healthy genetics and the wolves could not be considered fully recovered. The debate continued into the next decade. In March 2008, the gray wolf was de-listed, and hunts were planned. Several environmental groups sued the government, and in July of the same year, the U.S. District Court granted a preliminary injunction placing the wolf back on the protected list. The hunts for the fall of 2008 were suspended. So far in 2011, "research" hunts have been used as a way to get around federal protection. Additionally, Montana Governor Brian Schweitzer encouraged Montanans to shoot packs of wolves guilty of preying on livestock or "hurting elk herds" regardless of the law. (In parts of Montana, it is legal to shoot wolves to protect livestock.) Federal agents (paid by U.S. tax dollars) have been authorized to shoot over 1000 "problem" wolves in the last few years. The "pro" wolf groups are mostly wildlife advocates and environmental groups such as Defenders of Wildlife and Earthjustice who fear that if the wolves are not federally protected they will surely be mismanaged, over-hunted and sadly exterminated again. Some conservationists, such as The Greater Yellowstone Coalition, propose responsible state-level management involving 1.) an established minimum gray wolf population, monitored by federal agencies such as U.S. Fish and Wildlife 2.) monetary aid for ranchers who lose livestock and 3.) regulated, fair-chase hunting (i.e., no poisoning or trapping) of wolves in numbers based on the U.S. Fish and Wildlife reports. Revenue from hunting licenses could be used to help fund state wolf management programs. If the wolves are de-listed, there will no longer be federal funds available. This ongoing and decades-long battle is exceedingly complex: a mess brought upon ourselves a century ago when we decided to take it upon ourselves to "manage" mother nature. Currently, in the Montana Capitol, a resolution urging the removal of the Gray Wolf from the Endangered Species List passed the House with 99 of 100 votes. The next step will be for the U.S. District Court to approve or reject the wolves' protection. There are currently estimated to be 524 wolves in Montana. What does it say about humanity when the solution to a problem we created is to kill?Wildlife Service already kills millions of our wildlife yearly with taxpayer. I guess I'm in the minority - I'm decidedly anti-wolf. I would prefer if they just didn't exist. This didn't help me at all, all I wanted is pros and coins. All reintroduction efforts should be made in suburbs and urban/wilderness interface. This is where there will not be a significant financial impact due to depredation. This will help with wildlife herds that have adapted to a healthy diet of ornamental shrubs, bountiful forbs, and grasses saturated with nutrients. 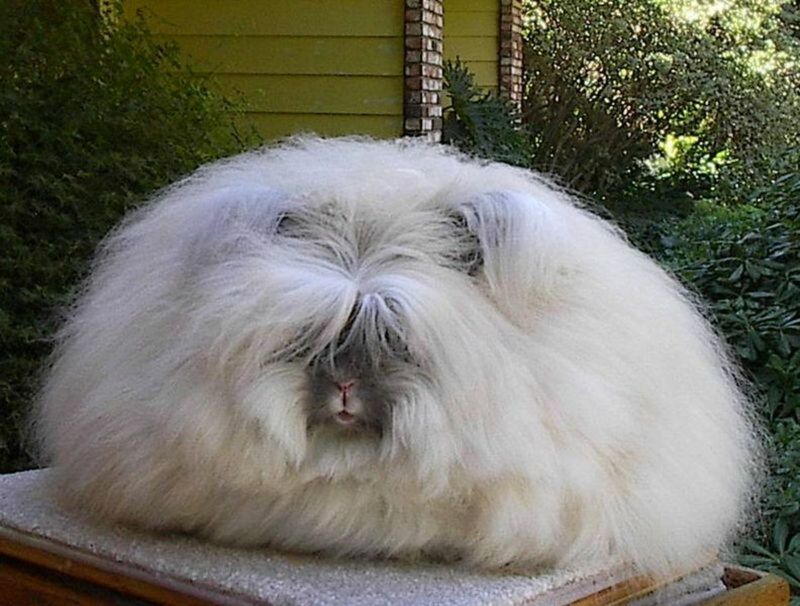 Likewise, when the cyclic predator/prey cycle reaches a critical point, the predators will be able to switch to alternative food sources such as fat ornamental pets (dogs like Labradors get nice and fat, cats, urban chickens, maybe a colt or lama on that ranchette). However, to expect financially stressed government agencies to spend limited resources to introduce a predator they can not control so we can feel better as a species has the following results. The rural human subspecies of this society, which so few of us can relate to or even interact with now, will have their income and financial security effected. How casual our urban/suburban subspecies can say what is one calf, what is a dozen calves, we will compensate you, when they don't offer 1/10th of their income on a gamble that someone may agree to compensate them. There is no concept of the animal husbandry and time that goes into breeding stock and healthy livestock herds. Likewise, there is no concept of what has happened to the winter range. What in the city might be considered vast expanses of winter range actually no longer exists in the lower 48. It is now divided and fragmented into small sub parcels by the species (humans) that no one is making an effort to control their populations. Humans have taken the winter range and cut it up with roads, subdivision mostly along the river corridors, and yes even those trophy ranches and trophy homes that get visited once or twice a year by a CEO from the big city. This is a devastating formula for herds of animals in areas that typically receive a brutal winter at least once every 10 years. You know the type of winter the urban/suburban subspecies celebrate on the slopes or at the bar in the ski lodge. Meanwhile, the elk and deer herds are concentrated in smaller and smaller drainages as the ski crowd hurtles by in their heavy SUVs and fancy cars expecting the Hwys to be free of any wild life struggling to make it through the winter. So now that we have orchestrated this unnatural environment, let’s bring back the "apex" predator. 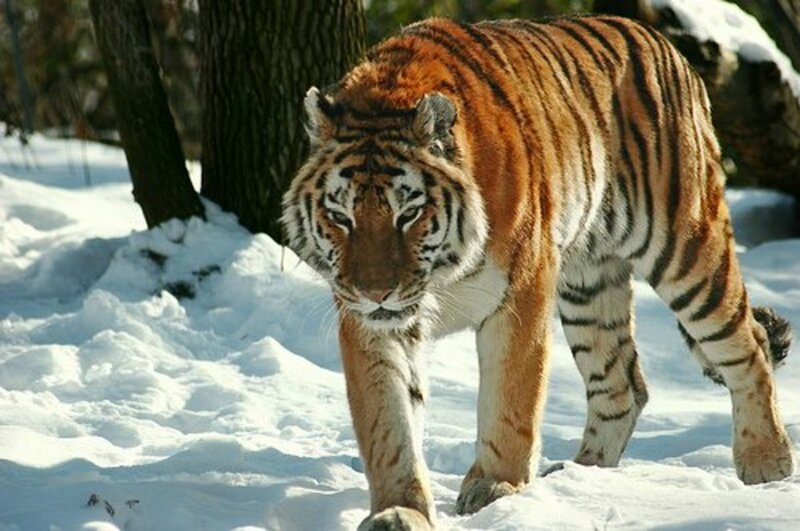 What a solution, concentrated herds struggling through the winter and a predator that we cannot control. So then we have cyclic success? Okay the Cottonwood elk and deer herds are devastated during that brutal winter, nearby sheep and cattle herds are the alternative prey and we pay out a bunch of money to the ranchers who don't want handouts. Hmmm, think I'll go back to dwelling on how nice life is in the big city petting my pet ferret and thinking how green I am this winter sustaining myself through the natural life of truck farming and starbucks. The bottom line is man has always affected the shape of wildlife populations. Society's perception of what the natural world should look like will always be considered what is environmentally healthy and then we can engineer that. The portrayal that "oh my gosh that poor meadow is hammered by elk" is a perception. Just like "the damn beaver have dammed up the creek and flooded my basement" is a perception. Either way, that actual creek bottom will not disappear and it will support various forms of flora and fauna through natural succession depending upon what stressors or not are placed on it. There will always be stressors or stimuli on all systems in the natural world. Meanwhile, we humans might pass through that area once in a while and then sit in our living rooms or the lecture halls of higher learning and pretend like we know what is healthy and what is not for that specific habitat. 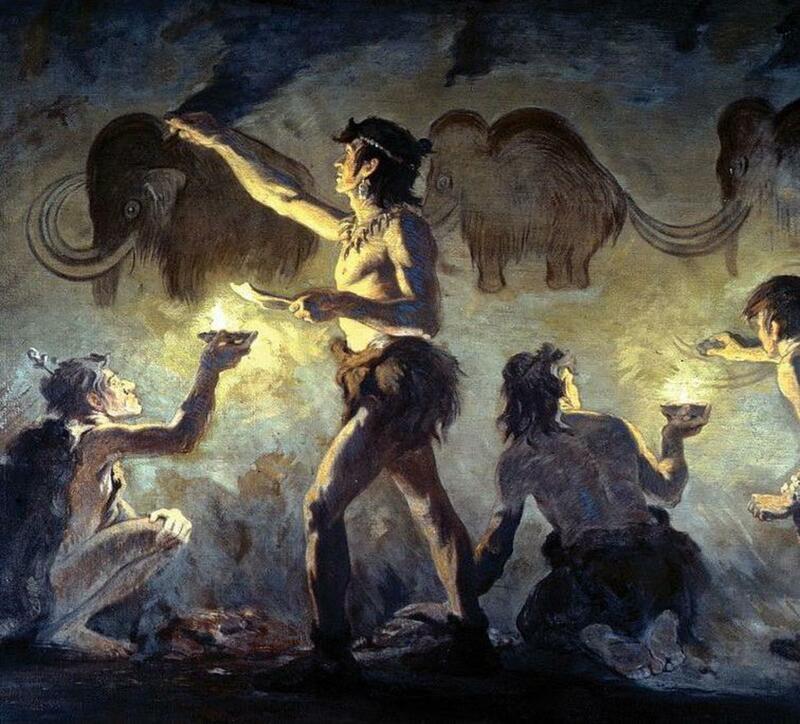 Maybe it is time to suggest that the healthiest environment is one where humans are hunter/gatherers not concentrated in one spot and attacking each other for territorial dominance and genetic diversity with the occasional famine thrown in for good measure. Hmmmm, need more coffee. I like to hunt people like you down, sedate you, slowly skin you alive, put eye drops of battery acid in your eyes, string out your muscles, and pike you to a tree, because you like to hunt because you see what the main problem is. Thank you for reading, I will be seeing you soon. i found your information useful. I work on my ranch in Montana. But i find wolves quite useless around here. They are a gluttonous species, and i like the fact we were hunting them, (cause we still are) Last year i lost over 35 head of sheep and 14 head of cattle. Thank god we can hunt them here. thanks yal. Thanks Kerry and I love them too! This is a great hub! I love wolves. 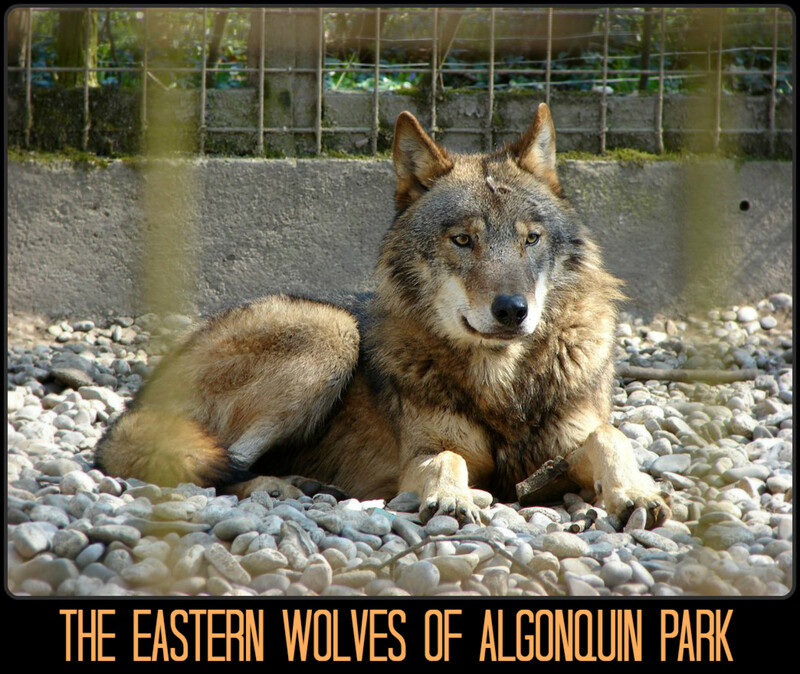 As an apex predator, they are so important to keeping the ecosystems in which they live in in balance. I love you're point that we shouldn't be pro or anti wolf, and that we just need to learn to live in balance with the grey wolf and other such predators! This is a very informative hub, thanks for educating us on this subject. Thanks Chris, I'm sure you can tell I like them too! Hello ahorseback and thank you for your very reflective comments! Sadly, it is even worse now than hunting...they are allowing them to be trapped as well. During the last few hunting seasons the quots was not reached so they are approving other means of killing them. Hopefully they won't go too far and let the numbers get dangerously low again. Hello , although I commented before and I must again , I have seen the west yellowstone rescue for wolves and grizzlies . I guess it's a zoo no matter how we look at it ! The return of the grey wolf now expanded to almost all the northwest states is a great thing ! I would love to them everywhere . Man has long had an almost mystical hatred for the wolf . Poisened , trapped , shot , torn limb from limb by horses , you name it , man has done it ! And Now the biggest enemy is still the rancher , cows , sheep and federal [ a welfare program for ranchers ] ----taxpayer funded subsidies ! One day perhaps the wildlife will reclaim this earth . Until then though we must be vigilant for them ! I don't claim to be an enviromentalist , I am a hunter too. Yet even sport hunting goes to far in my humble oppinion .And yet , hunting is being opened up again for the grey wolf ! Awesomee hub . Love it ! Thank you atyq! I should think we could coexist, but some would need to change their point of view for that to happen. This is an awesome hub, thanks for sharing. I am for the gray wolf reintroduction, I think that we can Humans and Wolves can better Coexist. Thanks Reagu...I'll check it out for sure!!!! Awesome hub. These wolves are beautiful. I saw a PBS special on PBS called "In the Valley of the Wolves." It detailed the reintroduction of the animals in Yellowstone an how they fared. Its a nugget of a documentary. And maybe we should put new protections on rats instead of trying to control them. They certainly "balance" our ecosystem as well. When you think it about it.. it is sad that we have to have programs in place to protect the animals from humans killing them off. sad.. but I am certainly glad there are and I appreciate you writing about it and explaining it to someone like me who isn't that educated on the topic. A wonderful and informative hub on one of my favorite creatures...not to mention the beautiful photography. I voted this one UP! Nice hub very well written.The eocosystems are both fragile and interdependent every plant,insect and animal is woven together tightly . Very interesting and informative hub! Thanks for sharing! Excellent. They are spectacular animals! So beautiful! For me they are the ultimate survivors! Seeing them back to nature, fills me with hope that the man is becoming more consciousness about the importance of preserving the environment and Mother Nature. Hope to see more actions like this to happen. Mrs. Menagerie, I just stumbled up on this well written hub while traversing across the pages for a hub on a totally different subject, but, this has been a topic of discussion between myself and wesmantodshaw here on the pages and I had read a news article on the slaughter of a good number, I find it sad as there are areas that these animals could be trapped and released to control over populations of deer, my little brother lives in Tennessee and on his drive to work he has hit at least three white tail deer per year in the last 4 years. The state has allowed a hunter to take (if memory serves) 2 or 3 antlered deer per season but 3 antler-less deer per day. They like Texas have a Ferrel hog population problem, I don't see why the wolves could not be planted in these areas to balance the system, especially where the ferrel hog is destroying the farm land, I would think wolves eating the massive piglet production would be welcomed by farmers, the damn government makes management of species like a see saw, up down up down. I mean come on 3 deer a day every day the season is open? That produces people who like to kill things for the heck of it and then walk away. I'm a hunter, I live off wild game, literally. If I kill it, I eat it and if I don't my dogs will, nothing gets wasted. I raise my chickens for eggs and meat. It looks awesome that they are bringing back some of the wolves! Thanks for a balanced and well-written article. I have friends on both sides of the pro/con debate and have not always known what to believe. This article gives me the truth from both sides and helps me understand the issue better. where are the pros and cons specifically? 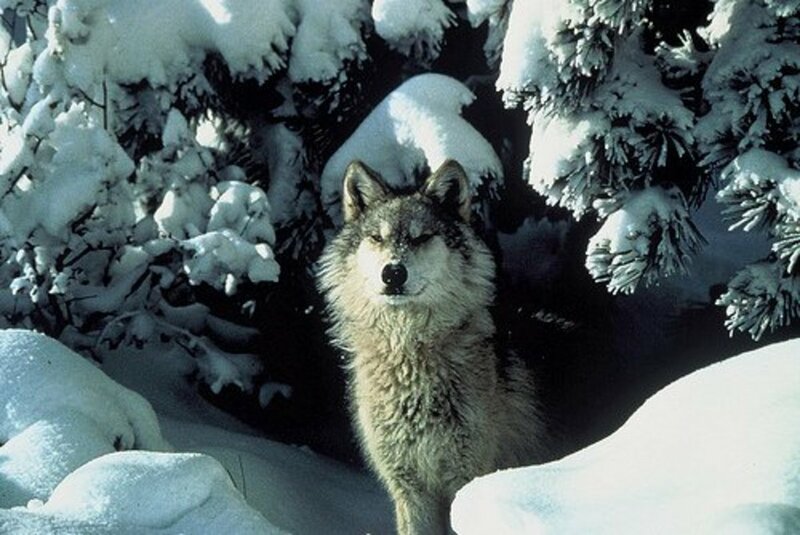 I am so sad, and amazed, that these wolves were reintroduced to Yellowstone...how safe is that? Of course this is a complicated issue in which I am not educated, but in putting them back here (I live in the shadows of Yellowstone) it's only a matter of time until they would once again become targets of wrath and ruthlessly hunted down, hated. That's how many of us humans want to do things -- make nature yield to whatever suits us best and conform to our needs rather than work for cohabitation. This is one of the best hubs about animals! This is one of the best hubs about animals. 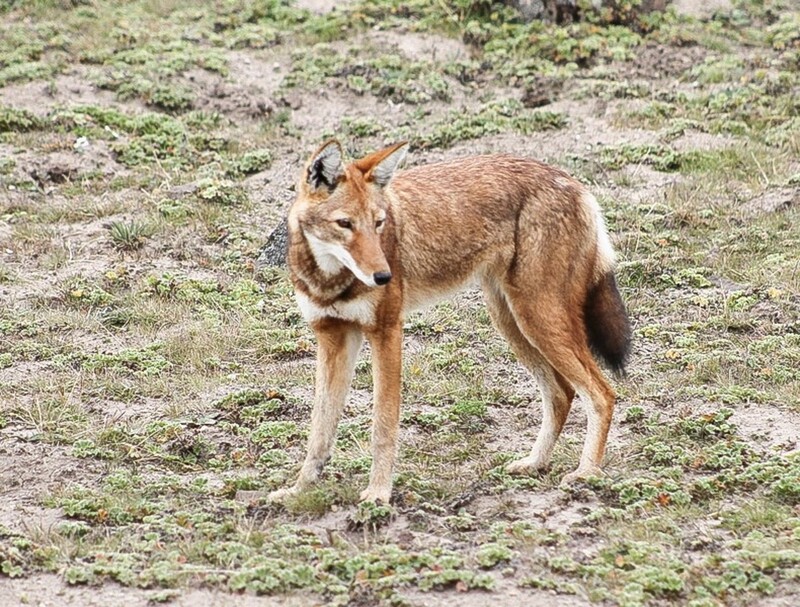 This wolf is getting extinct and in family of endangered species. Wonderful article. Extremely informative and welcome to hubpages! The wolf is amazing and through reintroduction to their natural habitat will hopefully see there continuation as a species. Awesome Hub and it was very well written. The research you did was impeccable. I enjoyed reading the entire Hub. I am a lover of all animals and I hate to see animals killed. I agree we all need to learn to co-exist and share our beautiful planet. The Wolves are just trying to survive just like we are!!! Our state is talking about taking wolves off the endangered list. I worry about putting my dogs outside because I know wolves are in and out of our yard but so are bears. I hate to see the killing of either one. This is so interesting and your research is impeccable. Voting up. Beautiful animals. Thanks for writing the article and all the information. Really enjoyed this - I'm a fan of wolves! Great hub! Well-researched and presented professionally. Love it! Hi guys thanks for all the great info about wolves. We are writing a letter for enviormental organizations, so we appreciate this amazing piece of writing. Hi Phoenix...funny thing, right after reading your comment, I drove to work and also saw a big beautiful, healthy coyote. It is still a thrill for me every time I see wild life of Montana. I hope my grandchildren will get to see them too. As an Idaho native (that's a northwest state for those who don't know) I can say that the reintroduction of gray wolves and their inclusion on the endangered species list is a heated issue up here. Holistically, it boils down to a question of federal vs. state government, and the extent to which Washington is the representing the differing voices of Americans. This is a tailor-made hub for me. Your hub is interesting to me because it talks about a 3rd option too. National Geopgraphic in one of its issues in 2008-09 had an article on how hunters are helping manage both prey and predators in the USA. I believe that in the long run its going to be hunters like those mentioned in the article who will be critical for survival of all of our natural heritage. I am against anti-wolf group, because I have personally observed how ranchers and farmers in Canada have used livestock guardian dogs to defend their livestock against predation from wolves, bears, mountain lions, coyotes, etc. hence, blaming predators for losses is baseless. Once again, a great hub. 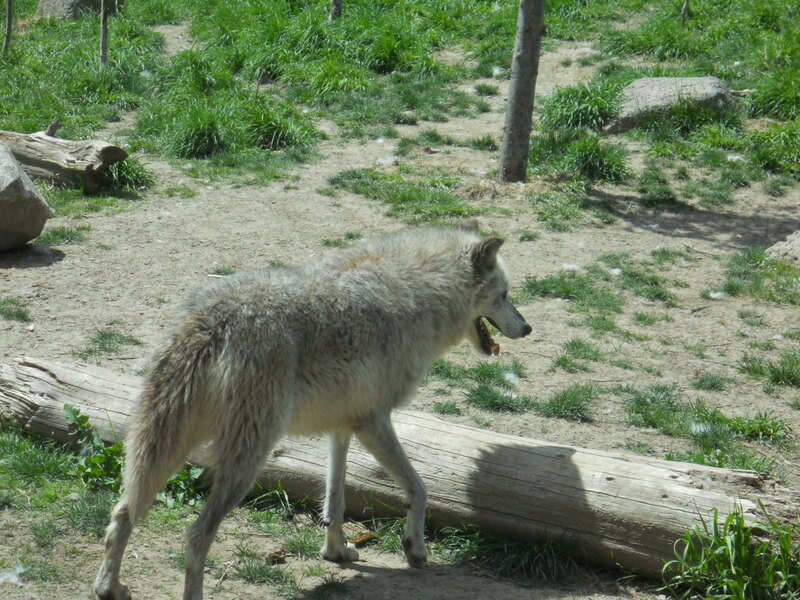 Ohio reintroduced the grey wolf to its parks, especially in Delaware County, around 1986. After 25 years, the wold has increased some in numbers and the over-populated deer seem to have declined somewhat. Unlike the film "The Grey", we haven't heard of a wolf attack on humans in Central Ohio in all that time. He look like my Husky! Yesterday I saw a coyote that was really close to the town I live near. It seemed odd for him or her to be so close to town. He stopped and looked back and he was only 40-60 feet away and he was a beautiful mix of colors. Lots of browns mixed in with the grays. He looked really healthy. I liked all your Grey Wolf in Yellowstone photographs, they are really a beautiful animal. Great hub! Nice article. Virtually every time people get involved in "managing" nature, the end result is mismanagement. Great hub Mrs. Menagerie! Very informative and interesting! Let's hope and pray that the courts approve the wolves' protection. Thank you very much wild child...such a kind compliment! Very interesting article! I am always appalled at how many people are just anti-wolf and think they (wolves) should all just die. It's nice to see that someone realizes there are shades of gray in every debate. You were able to do research for your article and that you were very unbiased also. Hope to read more from you! Excellent Hub Mrs. Menagerie. Very real and people need to take notice. Voted up and awesome. Thank you all for your comments...it is so sad to see the reports of how many were shot on this or that week in our local paper. Grrrr. Beautiful pictures! I've always had love for canines of all kind. Unbelievable! That got me heated. I almost smashed my monitor in the torrid event of reading it. What it comes down to is that either the wolf is going to be completely eliminated--a creature that has been around far longer than any source of commercial income, for the mere sake of income--or the wolf is going to be regulated and kicked into a retched cage far too inadequate for what it naturally deserves. Gah! (Garbling wildly.) Very informative writing, however. That's a fine article. Thanks. I think wolves are beautiful. I have been fascinated by them all my life. Thank you for this wonderful post. Great article! It is a shame that the wolves are being hunted in Montana and Idaho. 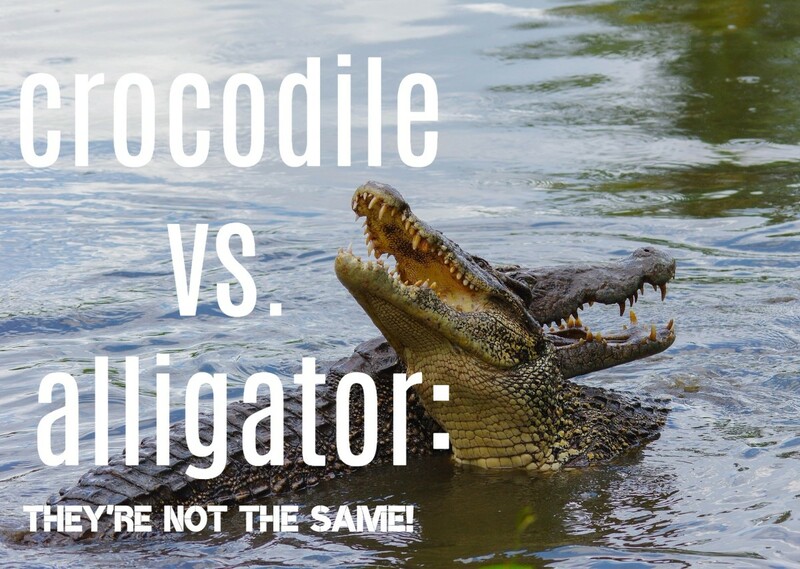 They are so intelligent and socially complex; it's not just the population as a whole that suffers from game hunting, but the relatives of the animal that was shot as well. Great hub, really well written. They are considering reintroducing Wolves here in the UK, they've been extinct here since 1745. They need to at least consider it, because we have a burgeoning population of Red Deer, particularly across the Highlands, but of course, being a small Island with a huge human population, there's always the question of space and being able to co-exist with humans. Ireally enjoyed this one and was not surprised to see all the comments.Great work, and I vote up plus bookmark. Very Nice Hub. Bookmarking this one for sure! I'm amazed at how this hub resurfaced up to the top of the hubs search list after 9 months of its initial release on hub, I'm now aware of wolves and their conditional status currently in the US, or anywhere for that matter. Thanks for proving such a great historical resource here, and I'll bookmark it to share with others. You gave me an idea of creating a collection of hubs such as this nature for the benefits of all animals & animal rights activists. I'm sure going to be a new fan of yours if I'm not already one, voted up for awesomeness & all other categories except for funny, because of the serious nature this hubs topic discussion. Its a very hot topic for today in Montana that "Can human and Wolf exists together?" There is some pros and cons of co-existence of these two species human and wolf. But i want to say that wolf are also a god gifted species and we, the human being should care for them also. Anyway it is a very big issue and need a lot of discussion and points to be considered. Thanks for posting this type of hub, images give it a real look. Great hub! I believe all animals have a right to live. We, as humans, are supposed to be smart enough to help the balance. I don't believe any animal should be erradicated. Thank you for caring enough to write this hub! Voted up and will be following. 7 years ago from Savannah GA.
Great job on this subject that I am quite passionate about, the preservation of predators! Wolves are one of my favourite animals and it is sad when they are made into a monsters and destroyed with no regard! I will link this with some of my own hubs!